The cameras, they are a-rolling on the Toronto set of Starz’s adaptation of American Gods, but the network has still carved out room for last-minute additions to the cast. 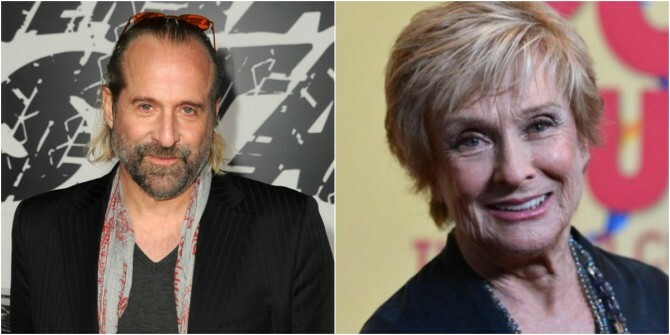 According to Deadline, Cloris Leachman, Peter Stormare, Chris Obi and Mousa Kraish of Fast & Furious fame have capped off Starz’s casting spree, as it looks to wrangle Neil Gaiman’s mythic fantasy novel about warring deities onto the small screen. That’s Mr. Wednesday, of course. Brought to life by Game of Thrones star Ian McShane, he’ll be flanked by Sucker Punch‘s Emily Browning as Laura Moon. Finally, Obi is set to play the role of Anubis, “the commanding ancient Egyptian god of the dead, gently guiding mortals through the judgment of their souls,” while The Jinn, a mythical creature birthed from fire, will be portrayed by Kraish. Still with us? The general gist of Gaiman’s celebrated novel supposes a reality where the old gods, struggling to remain relevant amid a mass religious exodus, tussle with new gods, representing society’s crippling modern love of money, technology and celebrity culture. Ricky Whittle will lead American Gods as Shadow Moon, an ex-con prepared to batten down the hatches in anticipation of the war that’s brewing. Rounding out that star-studded ensemble are Sean Harris as Mad Sweeney, Yetide Badaki as Bilquis, Bruce Langley as Technical Boy, Crispin Glover as Mr. World and Jonathan Tucker as Low Key Lyesmith. American Gods will continue to lens in Toronto for the next few weeks before hopping to other locations across North America. It’s expected to premiere on Starz later in 2016.